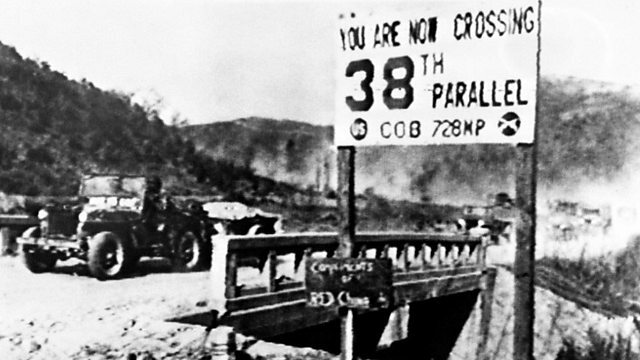 The Korean peninsula was split along the 38th parallel at the end of World War Two when Soviet forces took control of the North, and the US military took control of the South. At the end of World War Two with the surrender of Japan in August 1945, Korea was split along the 38th parallel. Soviet forces took control in the North of the peninsula, and the US military took control in the South. Shin Insup was a boy, living the northern city of Pyongyang at the time. In 2015 he spoke to Catherine Davis about what happened next.